The Matra Djet (which is pronounced “Jet”) was a sports car built by French Matra – who built sports cars, racing cars of all varieties and all kinds of weaponry and aeronautic equipment. Matra stopped producing cars in the mid-1980s, but soldiered on producing cars for other manufacturers until 2003. The Djet was originally known as the Rene Bonnet Djet beginning in 1962. Near the end of 1964, Rene Bonnet was in financial trouble and Matra bailed them out (and basically took over the company). 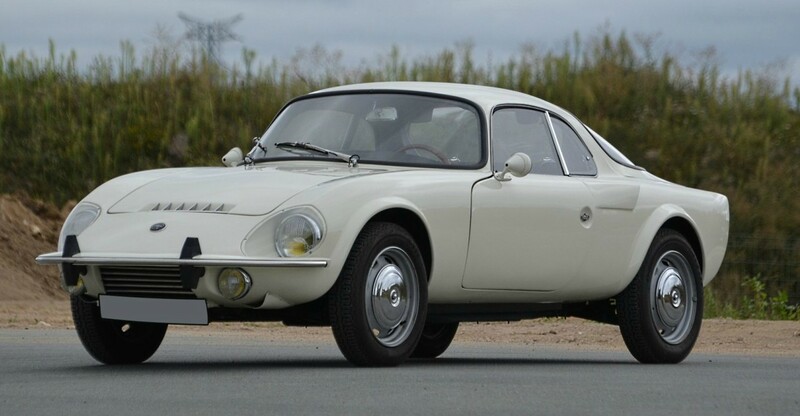 The Djet was slightly redesigned and put back into production by Matra in 1965 – and it lasted through 1967. This is a Djet V model, which means it uses a mid-mounted 1.1-liter Renault straight-four making 70 horsepower. It’s a sporty little car that can attain 106 mph. 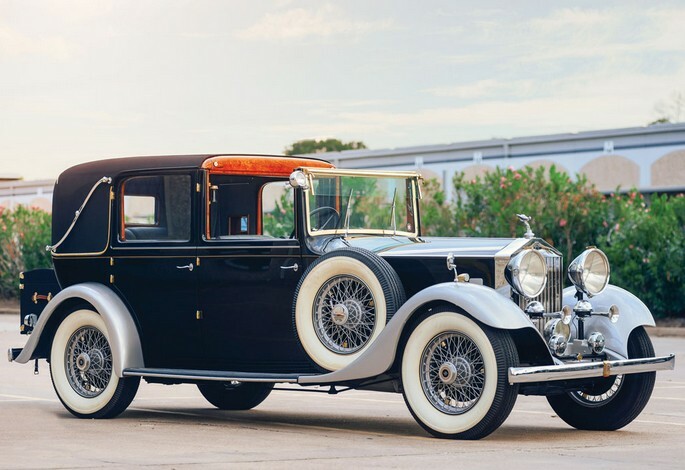 This example has been professionally restored, has been in the same family since new and has only covered 26,000 miles in its life. Only 1,495 Matra Djets were built. It should sell for between $40,000-$55,000. Click here for more info and here for the rest of Artcurial’s auction lineup. In 1977, independent Lamborghini built a prototype off-road vehicle for consideration by the U.S. Army. It used a Chrysler V-8 and had 4-wheel-drive (a Lamborghini specialty hearkening back to their tractor days). The Army went with AM General’s Humvee instead. 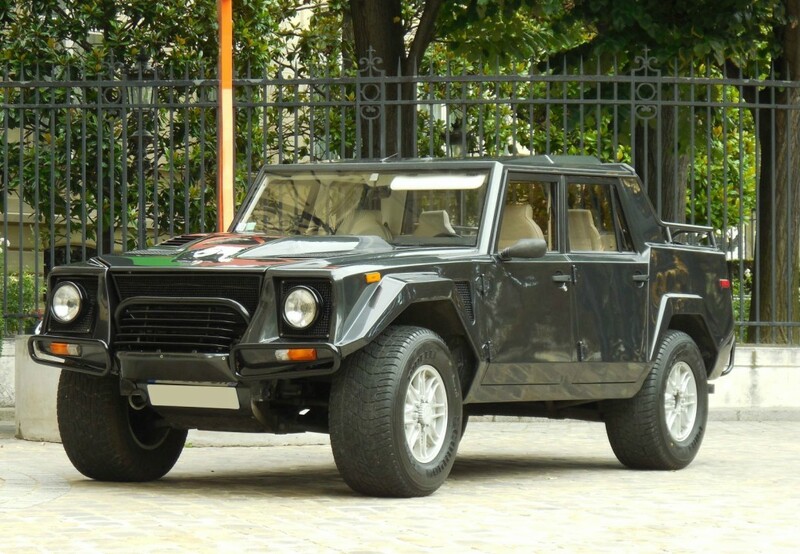 Fast forward to 1981 when Lamborghini decided to tweak that prototype (which they no longer owned) and introduced another concept vehicle called the LM001, which evolved into the LMA002. Finally, with all the details and design flaws worked out (such as moving the engine to the front instead of housing it out back) the production-ready LM002 was introduced in 1986. It used a front-mounted 5.2-liter V-12 making 420 horsepower – the same engine that powered the Countach. All were essentially four-door pickups that predated the civilian Hummer. One wagon (or more traditional SUV) was built for, who else, the Sultan of Brunei. The truck seen here was delivered new to Belgium and was imported into France in 2003. It is said to be the only fuel-injected LM002 in France. It is one of either 301 or 328 built and should sell for between $110,000-$160,000. Click here for more info and here for more from Artcurial in Paris. I’ve literally been waiting months to feature this car. I saw it pop up in H&H’s catalog early on and have been excited about it since. Argyll was a Scottish marque that was founded in Glasgow in 1899 by Alex Govan. Right around 1913 was when Argyll really hit their stride. Business was expanding – in fact, this car was sold new in Sydney, Australia. It didn’t re-arrive back into the U.K. until 2001. I’m not sure about the John Deere paint scheme, but I kind of like it. I also like the upright windshield and pillarless sides when the top is stowed back. The engine is a 12 horsepower (presumably taxable) four-cylinder. The “artillery” look of the wheels is one of my favorite early wheel styles (yes, I have multiple categories for favorite wheel styles). This just looks like a fun, usable car from what was once Scotland’s largest automobile manufacturer. It is expected to sell for between $48,500-$56,000. Click here for more info and here for the rest of H&H’s auction lineup. First off, apologies for the grainy photograph that was apparently taken with a circa 2002 cellphone… in a rainstorm. I can’t do anything about it (and likely, neither could the auction house) – but it doesn’t change the fact that this is an interesting car. The Briton Motor Co. Ltd. was actually founded in 1908 as the Star Cycle Co. Ltd. of Wolverhampton. Star built a car called the Starling but when that venture proved unsuccessful, Star moved to a new facility, hired a new manager, and rebranded. The cars were affordable and of good quality. The first model (such as the car featured) featured a twin-cylinder engine making 10 horsepower. There was a four-cylinder variant as well, but this 10hp model was much more popular. Briton survived until going out of business near the end of 1928. This car is described as “very usable,” having just underwent a fair amount of reconditioning. It is expected to sell for between $40,500-$48,500. Click here for more info and here for more from H&H’s sale. I didn’t forget about Russo & Steele’s Las Vegas sale back in September. I just didn’t have time to squeeze their results into the last post (I write these as far in advance as possible). 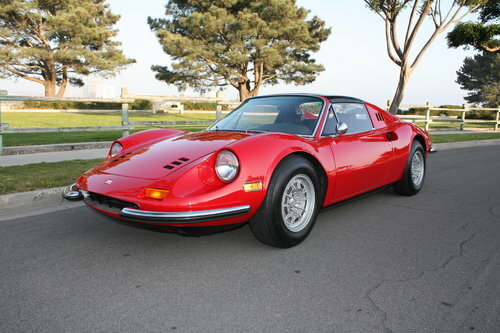 The top sale there was this 1974 Ferrari Dino 246 GTS for $321,750. 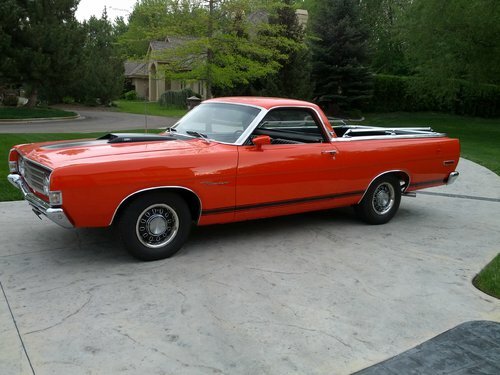 Interesting cars were topped by this 1969 Ford Ranchero Rio Grande Special Edition which went for $18,700. Finally, there was this cool 1926 Cadillac Model 314 V-8 Four-Passenger Phaeton. It sold for $58,300. Our featured Ginetta failed to sell. Check out full sale results here. Next up: Bonhams Zoute sale, held in Belgium. 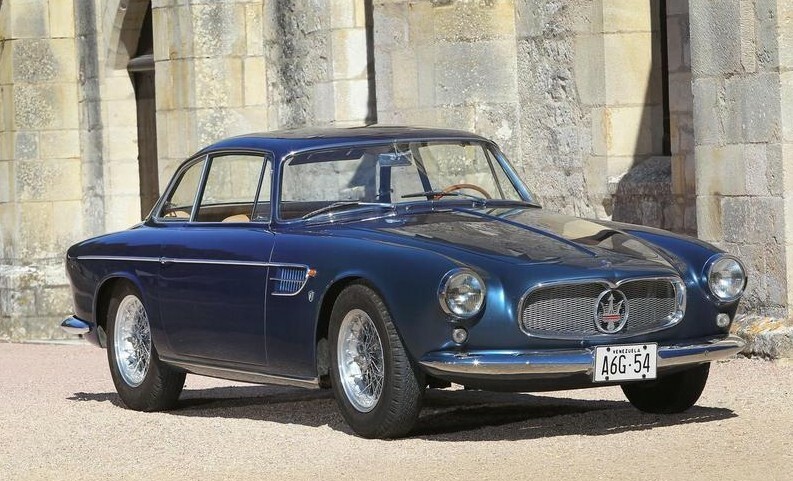 The top sale here was this nice 1957 Maserati A6C/54GT coupe by Allemano that sold for $686,439. Our featured Austin Sheerline sold for $32,761. 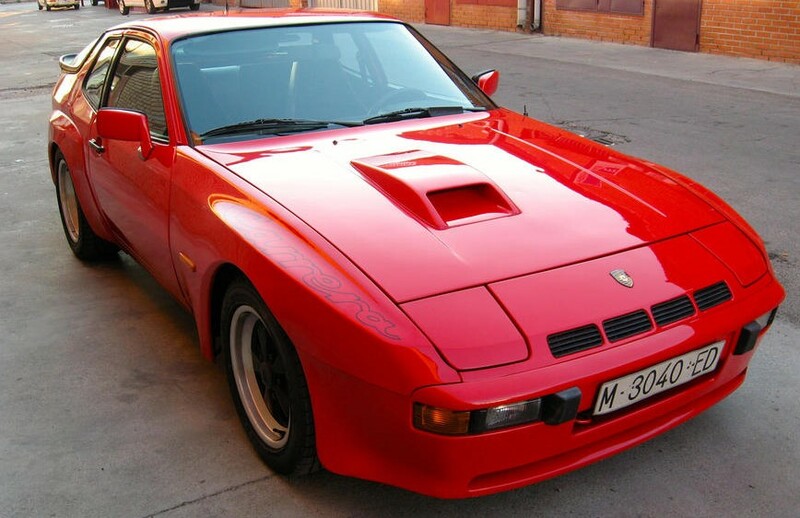 For interesting cars, I’m going to highlight two rare Porsches. First, a 1980 924 Carrera GT (one of 406 built). It sold for $49,922. 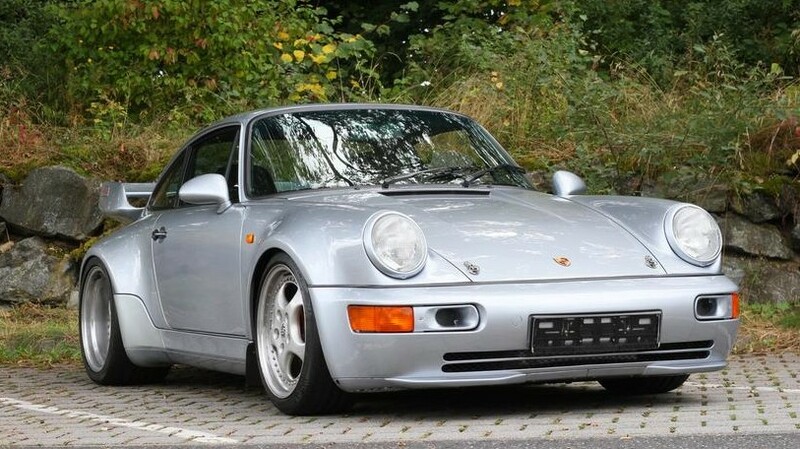 And this 1994 Porsche 911 Carrera RS. It is one of only 55 built and is a pretty serious machine. It sold for an impressive $366,621. Our featured Cottin-Desgouttes sold for $70,204. Check out full results here. And finally (for this post, there will be at least one more October post), RM’s annual Hershey sale. I love this event because RM finds some really old cars and not necessarily the biggest money cars. Just interesting stuff. 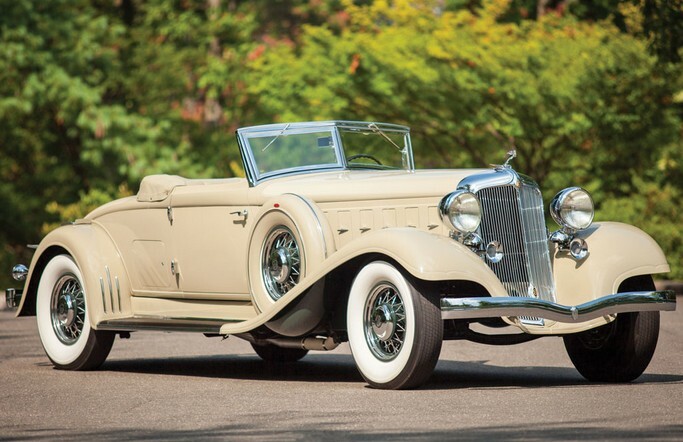 The top sale was this 1933 Chrysler CL Imperial Convertible Roadster by LeBaron. It sold for $704,000. The second-highest selling car was also one of the most interesting. 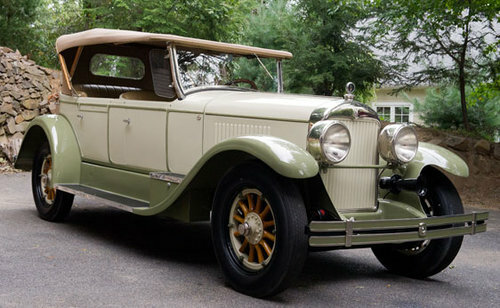 It was this 1910 Pierce-Arrow 48-SS Seven-Passenger Touring from the golden era of Pierce-Arrows – when they were the greatest cars in the world. It brought $687,500. The picture does not do the size of this grand thing justice. I featured some of the most interesting cars of the sale. The Firestone-Columbus was apparently scratched from the catalog, as it didn’t even appear in the results. Both of the Schachts sold. The Model R went for a cheaper $19,800 while the earlier Model K sold for $41,250. 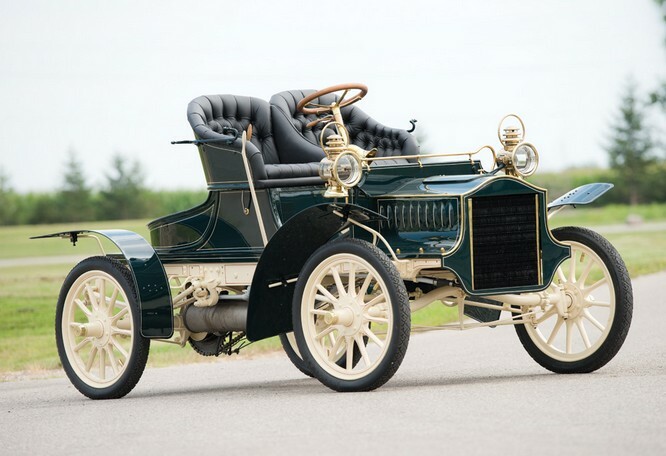 The 1903 Stevens-Duryea brought $15,400. 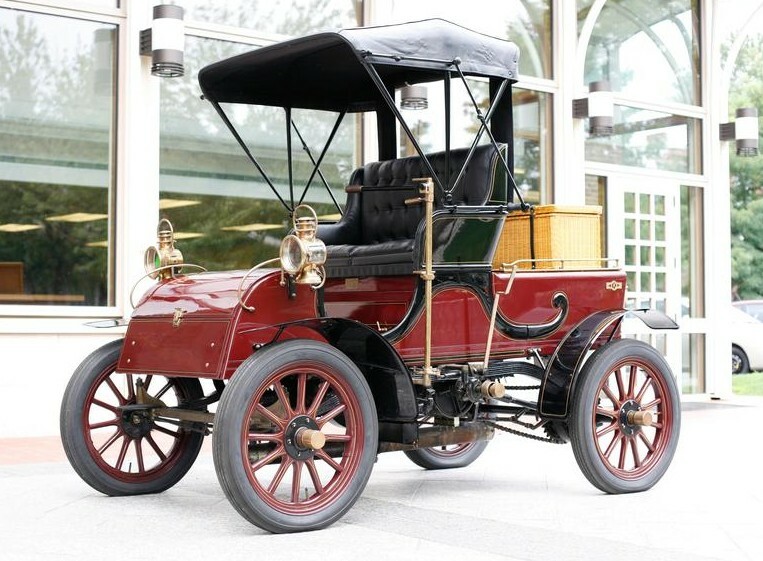 These two early GM cars were pretty cool: first a 1905 Cadillac Model E Runabout, which went for $71,500. 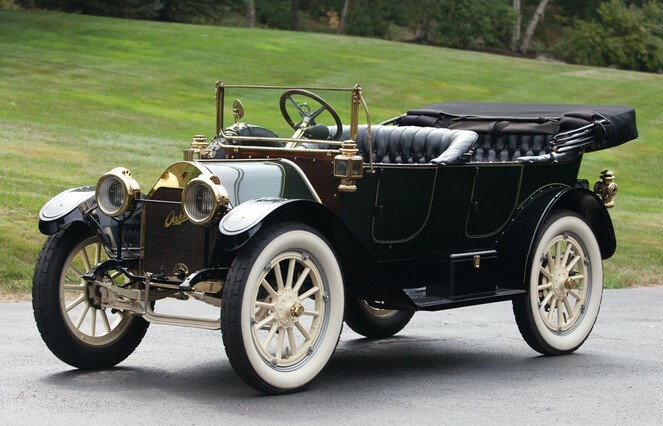 And second, this 1909 Buick Model G Roadster sold for $52,250. Here’s a later Caddy. It’s one of two built and was originally owned by Bette Davis. It’s a 1940 Series 60 Special Town Car by Derham. It sold for $165,000. While we’re on the coachbuilt theme, this 1933 Rolls-Royce 20/25 Enclosed Limousine Sedanca by Thrupp & Maberly is absolutely stunning. It sold for $159,500. The two “trucks” we featured both sold. The all-original Schmidt Prototype brought $18,700 and the International Harvester was hammered away right at the upper end of its estimate and sold for $44,000. 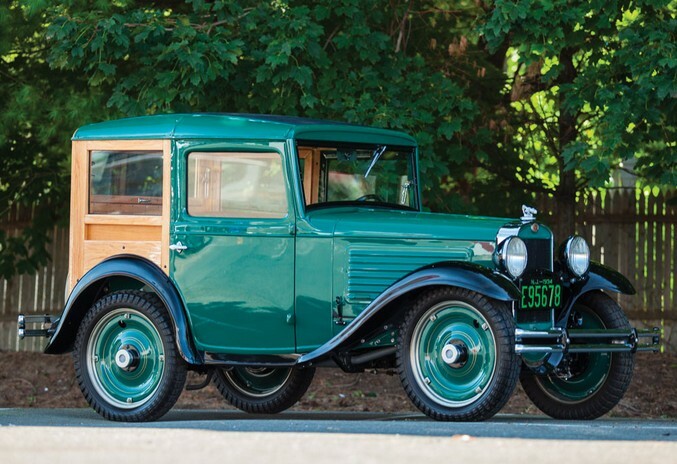 This 1933 American Austin Station Wagon isn’t quite a truck, but it’s still cool for $30,800. 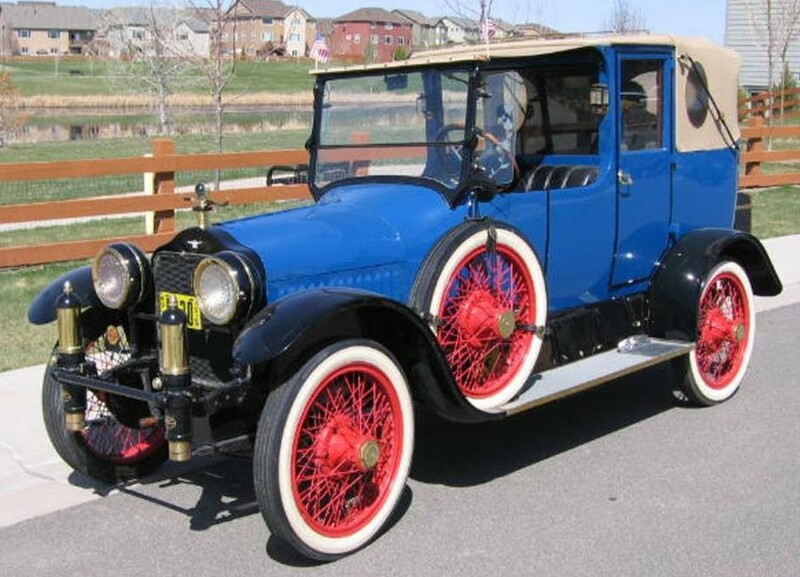 Our featured 1922 Liberty sold for $19,250. The Gardner Roadster brought $49,500. 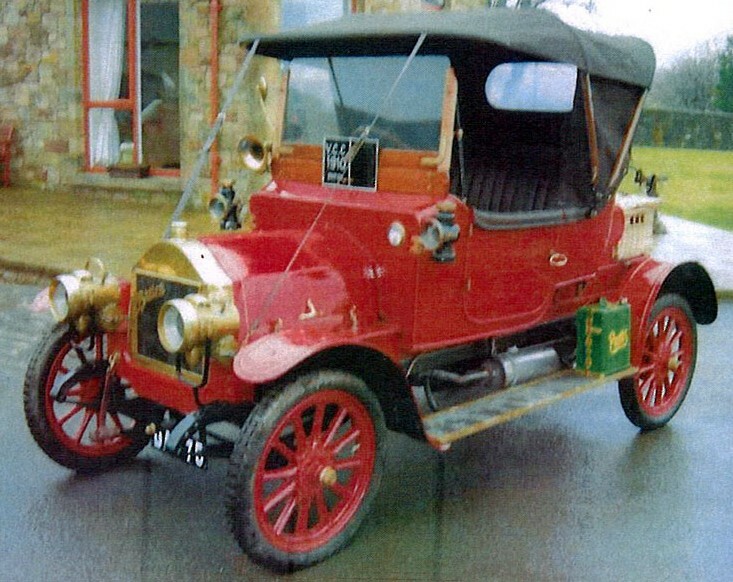 And finally, this 1912 Oakland Model 30 Touring. I love the look of this car from the big white wheels to the big whitewalls and low, folded-down windshield. It’s one I would absolutely love to own. It sold for $49,500. Check out full results here. I lied. One more. This is from Mecum’s Chicago sale. The top sale (and far and away most interesting sale) was this 1963 Chevrolet Corvette. 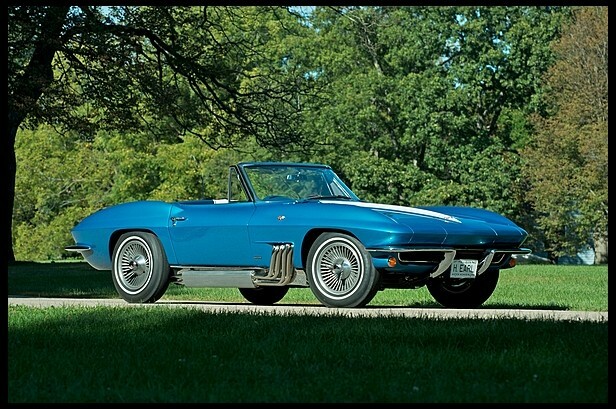 It was Harley Earl’s personal Corvette that was custom built for him. It is one of four Corvettes ever built with side exhaust like this. It’s one of a kind and sold for $1,500,000. Check out full results here. Barrett-Jackson held a pretty big sale in Las Vegas the weekend of September 26-28, 2013. 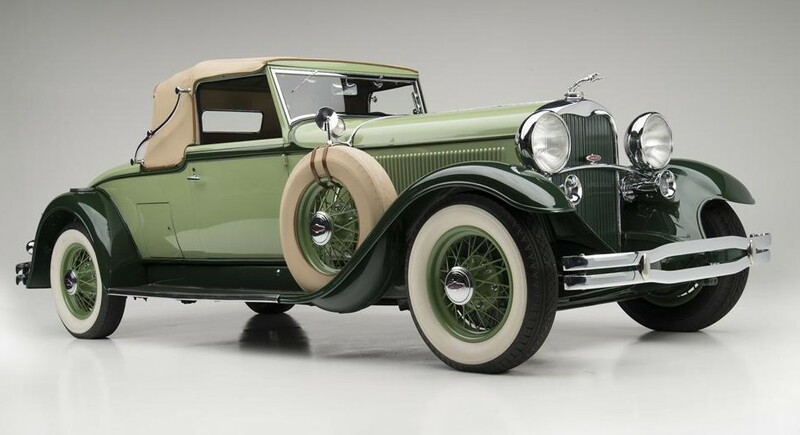 The top sale (not counting charity cars) was this 1931 Lincoln Model K Convertible. It’s actually pretty exciting to see the top sale at a Barrett-Jackson auction a true classic again after years of muscle cars dominating the headlines. It sold for $352,000. Our featured Maharaja Rolls-Royce failed to meet its reserve and thus did not sell. 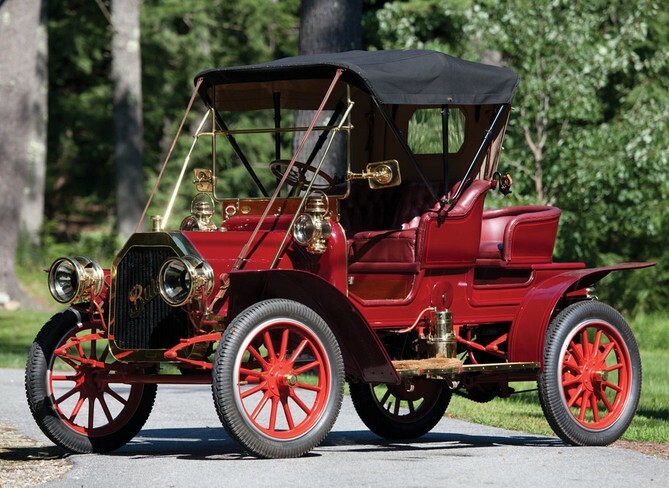 My picks for most interesting are topped by this 1915 White Town Car which sold for $66,000. Then there was this 1974 Pontiac Firebird Trans Am Super Duty for $110,000. 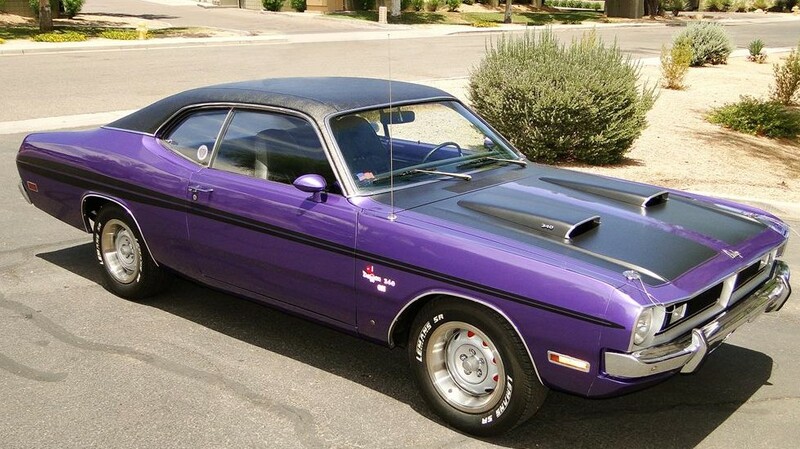 And finally, this 1971 Dodge Demon 340 GSS which sold for $39,600. You can check out full results here. 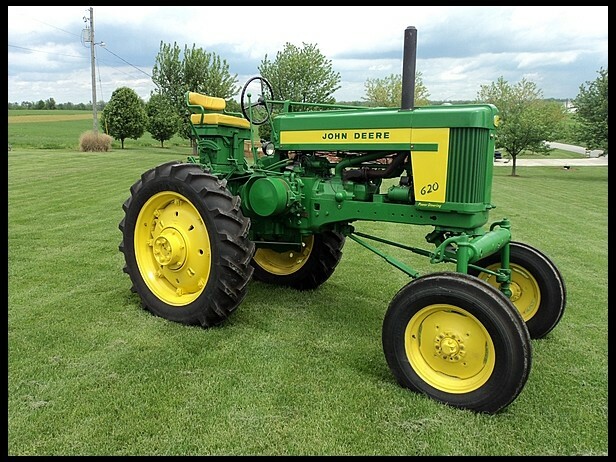 We featured a few tractors over a month ago from Mecum’s August Gone Farmin’ sale. The top sale there was this 1958 John Deere 620 H for $61,000. You can see the results of our highlighted tractors here. The next sale (based on when I found the results posted) was Bonhams awesome “Preserving the Automobile” sale held in Philly at the Simeone Foundation. 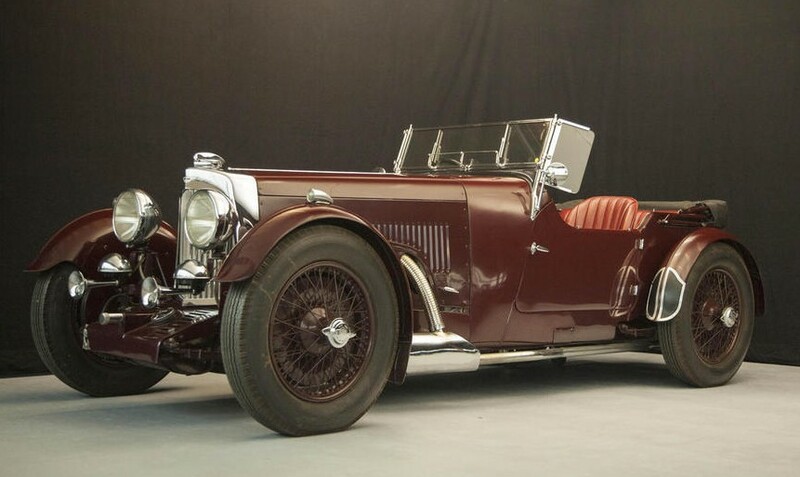 The top sale was this 1934 Aston Martin 1.5-Litre Sports 2/4-Seater for $264,000. A previously-featured Peerless sold for the second time this year, this time for $231,000 (and more than last time). The two Sears motorcars were featured both sold. The Model P brought $38,500 and the Model G Runabout brought a mega-cheap $3,850! 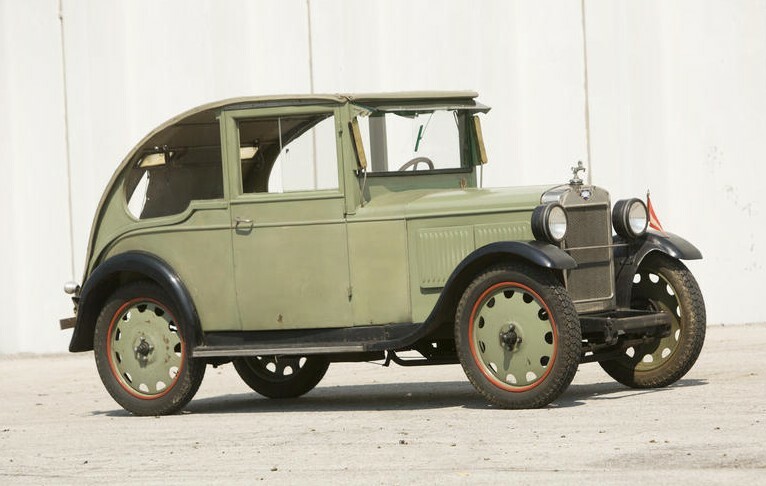 Interesting cars were topped by this all-original 1931 Hanomag 3/16 Coupe for $21,450. Our featured Stoddard-Dayton sold for $148,500. The related Courier sold for $20,900. 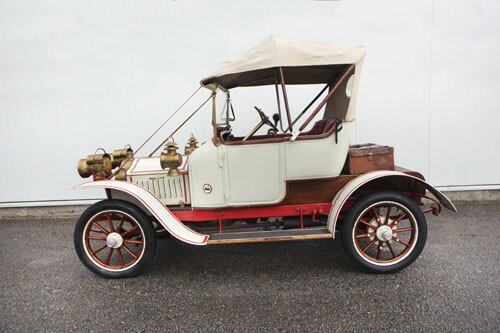 Another cool car was this 1904 Knox 16/18hp “Touraine” 4-Passenger Stanhope. It brought an impressive $143,000. There was also this really early Auburn. 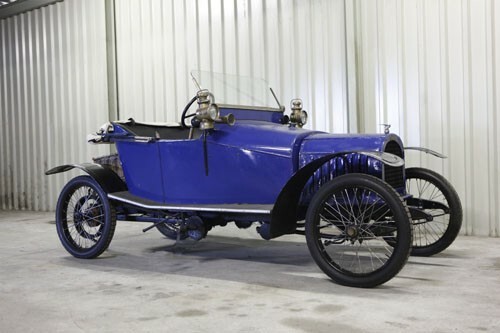 It’s a 1912 Model 30L Speedster and it sold for $49,500. Our final feature car was the Jewel Runabout which went for $25,300. Check out full results here. Next up is Auctions America’s Fall Carlisle sale. 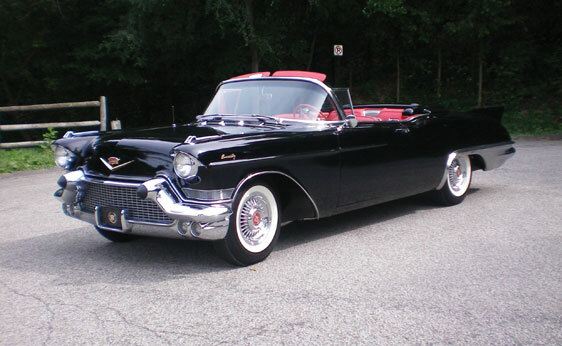 The top sale was this 1957 Cadillac Eldorado Biarritz Convertible for $181,500. 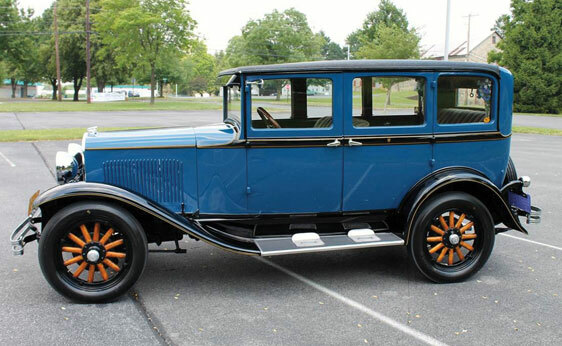 The most interesting car was this 1928 Plymouth Model Q Four-Door Sedan. It brought $17,325. Check out full results here. Cottin-Desgouttes (sometimes written as Cottin & Desgouttes) was a French automobile manufacturer founded in Lyon in 1906. Pierre Desgoutte built cars under his own name in 1904 before being joined by a wealthy backer – Cyrille Cottin – two years later. They built mainly luxury and sporty, racing cars. The company was doing well – and then the war came. Luckily, they found their niche was were able to weather World War One, coming out of it well-equipped and ready to resume production. But the wealth of pre-war France wasn’t quite the same immediately following the war, so the company introduced a cheaper model – this, the Type M.
It used a four-cylinder engine with 12 taxable horsepower. It was well-equipped and technically innovative. This car has a very sporty convertible torpedo body on it and has spent a long time in a museum – the last 15 years of which in storage. It was brought out and driven this year – so it does run and drive. It should sell for between $54,000-$81,000. Click here for more info and here for the rest of Bonhams’ auction lineup in Belgium. 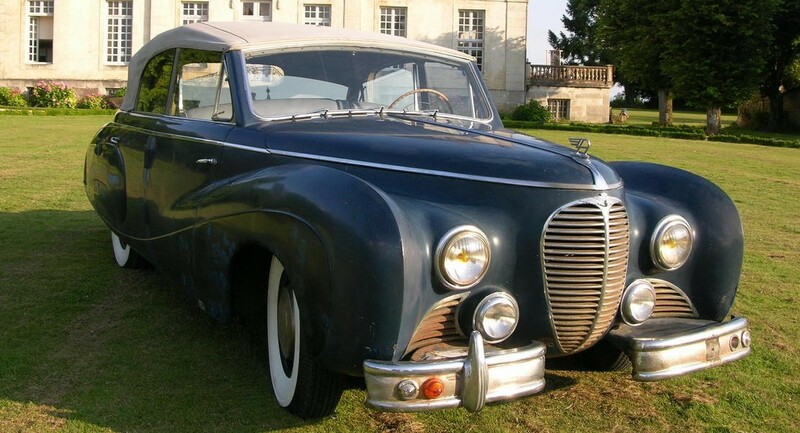 When World War II ended, Austin decided to build a car to try and rival Bentley. They introduced the Sheerline (originally in A.110 form) in 1947. After only 12 of those were sold, they shifted to the A.125 – the difference being displacement. The cars looked a little like Bentleys and a little like Jaguars – in that they were stately, boxy sedans. 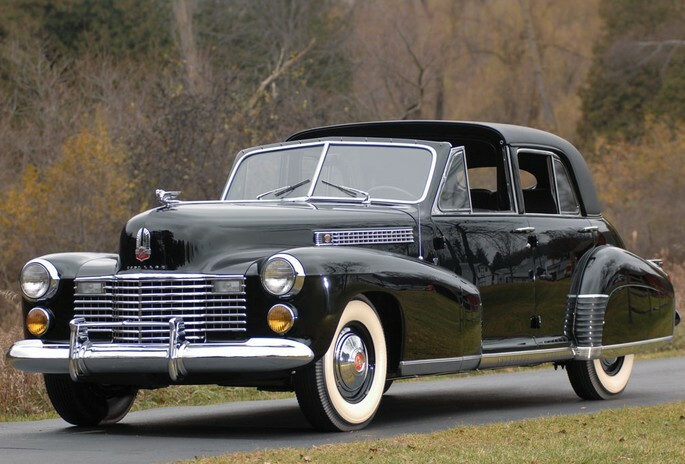 All were four-door cars offered as sedans or limousines. The engine in the A.125 was a 4.0-liter straight-six making 125 horsepower. This particular car was delivered new to Belgium and given a custom coachbuilt body by a local Belgian coachbuilder. 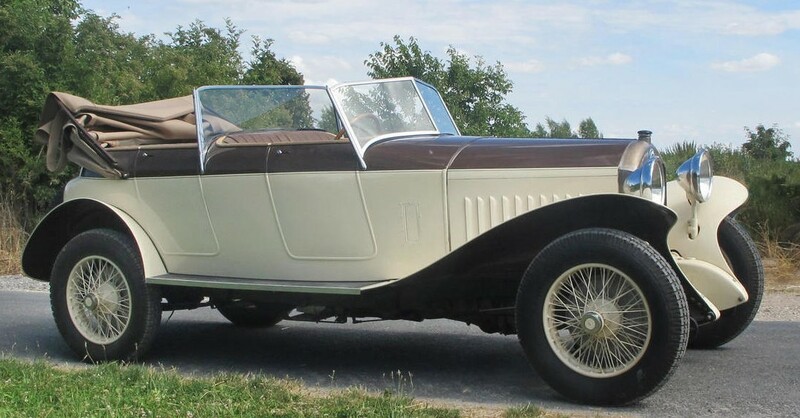 When I saw this car in the auction catalog, I thought “Oh, a Saoutchik Delahaye!” Boy was I wrong and boy is that a huge compliment to the body on this car. It really is nice looking. The fact that it is also a convertible is a plus as well. This car is being sold by only its second owner. The mechanicals and interior have been completely restored but the body and paint are entirely original. This is the only example like this built (of the 7,851 A.125s built) and it is a cheap entry into major concours events worldwide. It is expected to sell for between $54,000-$81,000. Click here for more info and here for more from Bonhams in Belgium. Update: Sold for significantly less than the lower end of the estimate. The person who bought it has asked that the price not be displayed here. In a couple of months, after he has flipped the car, the price will be posted here again. Stimula was founded by two brothers – Guy and Carl de la Chappelle – in the Gier Valley in France in 1907. They started with motorcycles and three-wheelers for a few years before the car business really got going. 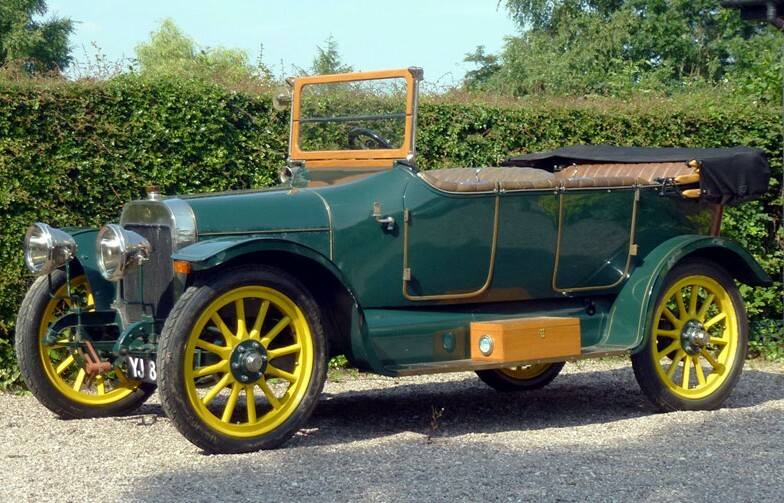 At the beginning, Stimula, unlike many contemporary French manufacturers who used engines from De Dion-Bouton, designed and built their own engines. 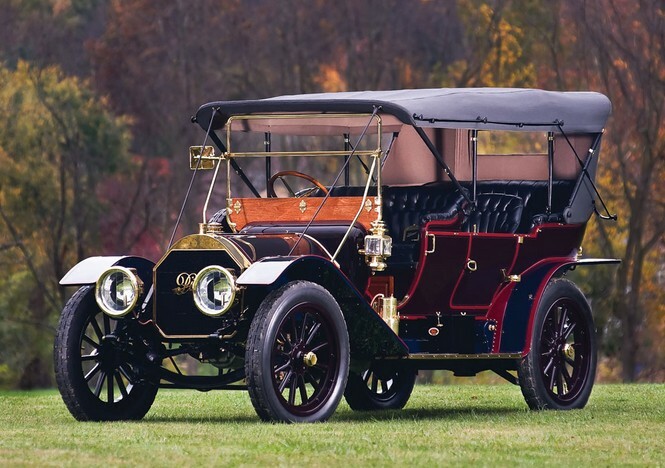 But by the second decade of the 20th century, they went scrambling for De Dion engines as well, as this car uses a 1.7-liter De Dion straight-four. The cars were light and handy in competitive events like hillclimbs. Stimula built over 1,000 cars before WWI shut the business down in 1914. Xavier de la Chappelle, a great-nephew of Carl and Guy, resurrected the Stimula name in the 1970s to build the de la Chappelle Bugatti replica. You can read more about this recently restored car here and check out the rest of this auctions lineup here. Update: Sold for about $25,800. I love it when fine examples of short-lived automobile manufacturers survive for 100 years. 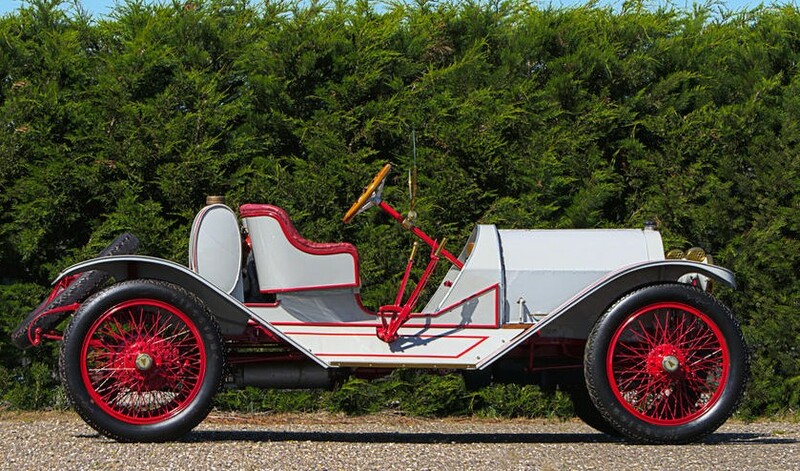 This Warne 8 cyclecar is 100 years old. The company, Pearsall-Warne Ltd, was founded in Letchworth in 1913. It only lasted through 1915. Light cars were all the rage in that day. A lot of companies popped up and built cars of varying quality with varying success. Warne may not have had a lot of success, but they had quality down. The engine is an eight horsepower 1.0-liter V-twin from J.A.P. and the price was a crazy-low-sounding £99! The car is simple, yes, but it does have a convertible top, lights and it is belt-driven (for weight reasons). I don’t know how many were made in total, but it is said the company built six of them a week. This is car #57. You can read more here and check out more from Coys here. Update: Sold for about $10,800.